It's easy to picture Millennials as kids, but they aren't. A high percentage have graduated college, delved into careers, married, started families, and bought homes. Millennials aren't like their parents in Generation X, or their grandparents, the Baby Boomers. These folks are well aware that if Website A doesn't immediately and effortlessly give them what they're looking for, they can simply move on to Website B, C, D, E (the average Google search delivers about a million results, so the math isn't hard). Your Drupal website design should be simple and easy to navigate, without being simplistic, boring, or common. Utilize minimalist design techniques, like ombre designs; ample negative space on the page; intriguing shapes, textures, and colors, and other visually-pleasing cues to direct the eye (and the mouse) where the Millennial user wishes to go. Hint: These guys adore highly visual content, such as videos, interesting pictures, and intriguing graphics. The average Generation X-er might be willing to wait a few seconds for a page to load because these guys remember working with dial-up modems. Not their Millennial kids. These grew up with digital technology, expecting that it works, it works seamlessly and works instantly. If the page doesn't load up in a second or two (even with an iffy Internet connection), they'll bail and go to a competitor. This is yet another reason for utilizing an elegantly minimalist website design. 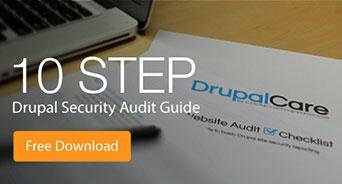 If you are working with a CMS like Drupal, be sure your design follows the best practices for Drupal theme optimization and caching. About two-thirds of Millennials own smartphones. Ninety percent of those research products online before buying, and almost half buy online. Millennials aren't exclusive smartphone users, however, swapping seamlessly among devices, including tablets, laptops, and desktops. If your Drupal website design doesn't deliver a spectacular UX across devices, you can kiss the Millennial shoppers goodbye. Millennials often go to social for product and brand information first, and generally depend more on their social research than anything they see on your website (or a competitor's, for that matter). That means you need to promote your website and content vigorously via social media and keep an active, engaged, passionate social presence to connect with your Millennial customers and find new ones. Millennials may be a strong force in the economy, but they aren't rich. Partly due to the economy and partially due to other factors, these people can be somewhat cheap. You must prove that your product has value -- it's worth the price they're paying. The more value you can deliver, the more Millennial shoppers will turn to your e-commerce site. Price is only part of delivering value. Don't forget special offers, loyalty programs and (Millennials love to feel like they belong to something), coupons and discounts, perks for buying, and other incentives that offer additional value to your product's price. Key point: Never lie to your Millennial shoppers. They will leave, and you'll never get them back again. Hold on! About the time you adjust your website design to accommodate Millennial shoppers, it will be time to tweak it for their little brothers and sisters in Generation Z. When working on your website design, it's important not to confuse Millennials with their up-and-coming little brothers and sisters in Generation Z. This group will comprise 40 percent of the consumer population by the year 2020. It's a much larger group than Millennials, with separate and distinct shopping and spending habits. Don't leave them out when planning your website design. As with any online shopping demographic, the key to luring Millennials to your e-commerce site is an excellent SEO strategy. Is yours up to par? 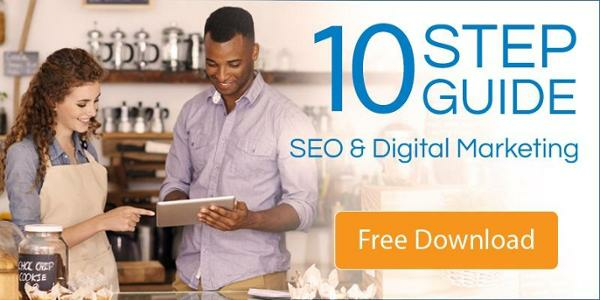 Find out now when you download our 10 Step SEO & Digital Marketing Guide.